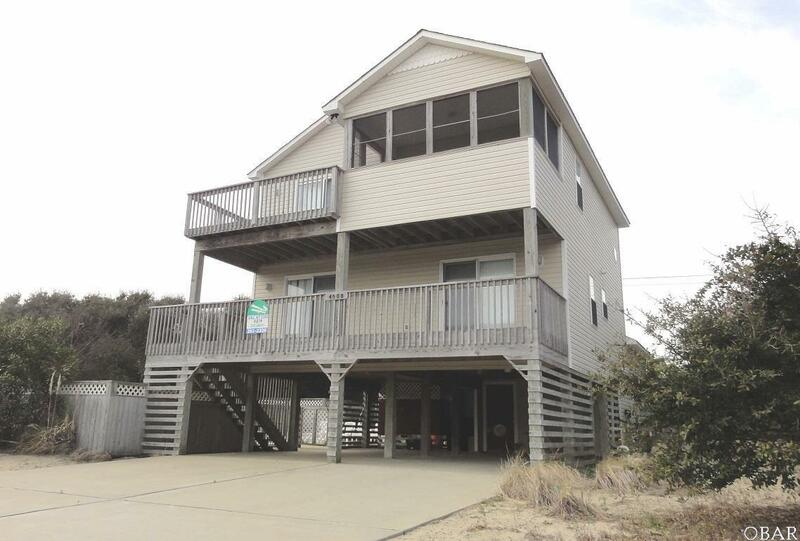 Beautiful, well maintained home between the highways in Kitty Hawk that's high and dry. Four lots off the oceanfront and in an X flood zone! This home has two master suites, game room with a wet bar, and spacious living area. Sit on the screened porch after a fun day at the beach and enjoy the ocean breeze. The pool area is a great place to gather with family and friends on those hot summer days! "Sandy Pants" will be the home you and your family can enjoy for a lifetime! Copyright © 2019 Outer Banks Association of Realtors®. All right reserved. The data relating to real estate for sale on this web site comes from the Broker Reciprocity Program of the Outer Banks Association of REALTORS®. Real estate listings include the name of the brokerage firms and listing agents. Information is believed to be accurate but is not warranted. Copyrighted by Outer Banks Association of REALTORS®. Information provided is for consumer's personal, non-commercial use and may not be used for any purpose other than to identify prospective properties consumers may be interested in purchasing. Neither the Outer Banks Association of REALTORS® nor Stellar Properties of the Outer Banks shall be responsible for any typographical errors, misinformation, misprints, and shall be held totally harmless. This site will be monitored for 'scraping' and any use of search facilities of data on the site other than by a consumer looking to purchase real estate, is prohibited. Listing broker has attempted to offer accurate data, but buyers are advised to confirm all items. Information last updated on 2019-04-19.